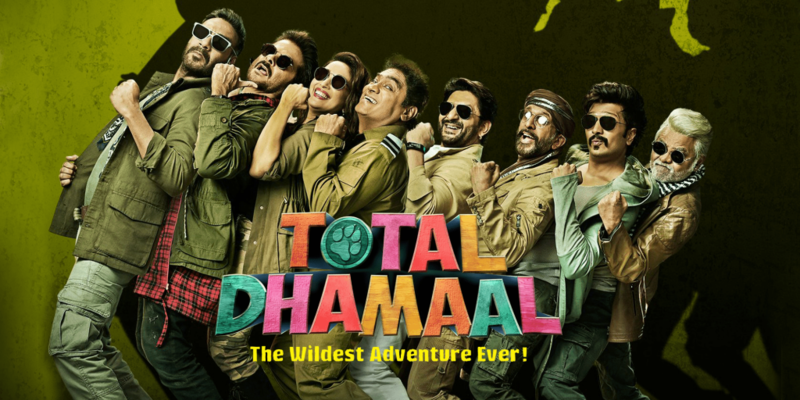 Total Dhamaal – directed and co-produced by Indra Kumar, is the reboot and third installment of the Dhamaal film series which will storm cinemas across the Middle East on February 21, 2019. The comedy-adventure movie will feature an all-star cast which includes Ajay Devgn, Riteish Deshmukh, Arshad Warsi, Javed Jaffrey, Madhuri Dixit, Esha Gupta and Anil Kapoor. The trailer, which released two weeks ago, has garnered 46 million views, and has been well received by fans. Based on the trailer, it can be assumed that the movie will keep audiences entertained from start to end. 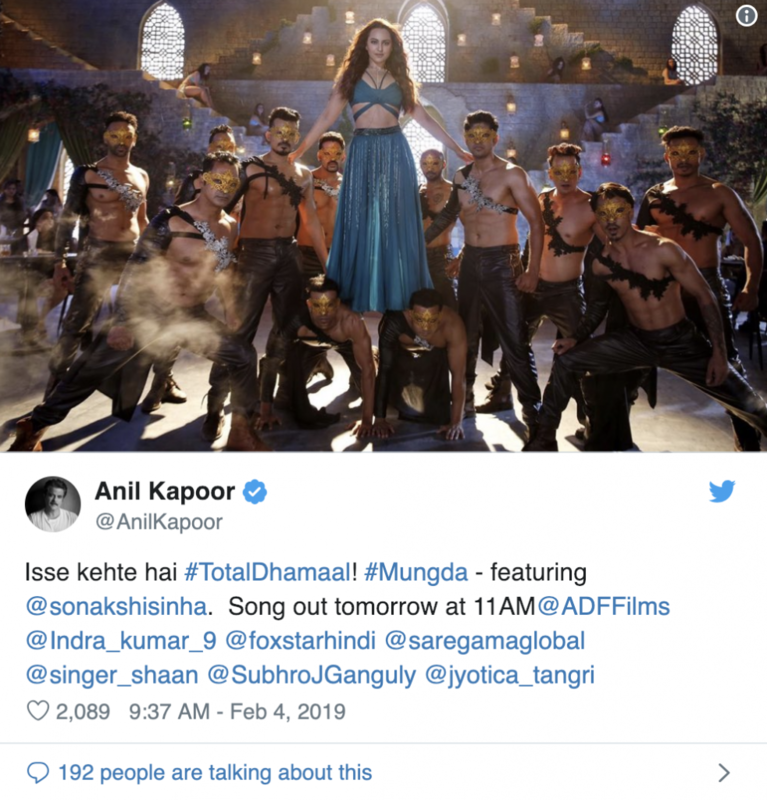 Anil Kapoor Tweeted a still from Mungda – a song from Total Dhamaal, on February 4, 2019 with caption “Isse Kehte Hai #TotalDhamaal! #Mungda – featuring @sonakshisinha. Song out tomorrow at 11AM.” Sonakshi Sinha can be seen in the photograph, wearing a ravishing peacock blue dress. Total Dhamaal is guaranteed to usher in large Asian and Indian language movie fans from across the Middle East. 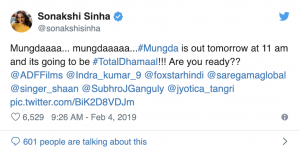 Don’t miss out on moving your brand closer to its target audience by advertising alongside Total Dhamaal. Contact us for more information on following this Hindi blockbuster.